A watch should be a piece of art, elegant in its design and functional in its features. There are a few different types of watches out there, but for the purpose of this guide we’ll only look at outdoor watches. Now you may have a lot of questions, such as, what’s an outdoor watch, where can I find one, how do I know when I have found the right one? If you want the quick answer jump to the FAQs at the end and we’ll explain it to you. If however, you want more information then stick around, because we are about to drop a whole lot of knowledge on you. Outdoor watches should be durable. The body should be made of something strong enough so that if you are running in the woods and faceplant, your watch should come out better than you did. If the body is made out of stainless steel or titanium, then you have nothing to worry about. Your watch should also have some sort of water resistance to it, because sometimes when you take a shower you will forget to take it off. Trust me, I know this from personal experience. After a long day with meetings and working out, a shower is my best friend, well other than my bed. Most watches we’ll talk about have a water resistance of 50 meters or more. Some go all the way up to being able to be submerged under water to 660 feet. It’s safe to say that scuba diving is an option for most of the watches rather than just regular swimming. How will I know when I have found the right “one”? What should I consider if I am a first time buyer? Should I go for waterproof or water resistant? But I want to get an Apple watch! 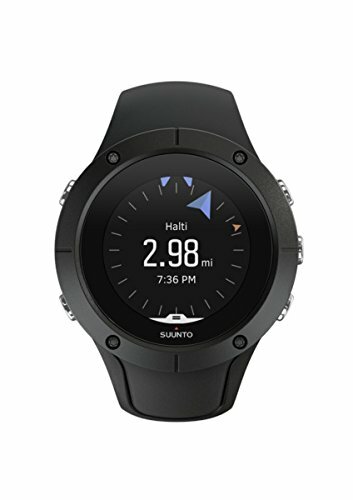 Suunto has done it again! This watch is absolutely beautiful. You can wear this watch whether in the gym or in a business meeting and look as classy as you feel. It literally fits all types of social engagements. With built in GPS and a heart rate tracker you are good to go on any adventure. This watch like all the others has an app that goes with it, but let’s be honest the app still needs some work going forward. When we think about the great outdoors, this watch does play ball with the Garmin and sometimes even dunks on them with no shame whatsoever. 10+ hours of battery life with active GPS, 30+ hours in watch mode. This watch is great for health tracking, it definitely beats Fitbit in that terms but Fitbit crushes it with its ease of use app. The Spartan Trainer comes with a really cool feature called breadcrumbs which allows you to see where you have been and follow it back home. I feel a definite Hansel and Gretel inspiration here. So where does this watch fail, you may ask? If I were to say anything bad about the Spartan Trainer, it would be that not all data is correctly stored and backed up in the app. There can also be some annoyance with the buttons on the sides. While a lot of its competitors have already moved to touch screen, this watch still have you dealing with buttons that don’t always work as they should. Garmin is a master of the watch game. They are innovative and year after year they produce or update their stellar line of products. Occasionally they may lose to Suunto but not always. 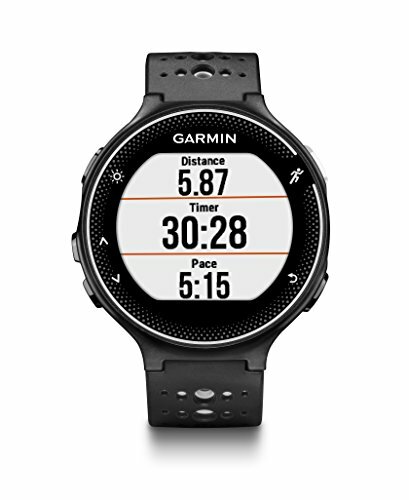 The Garmin Forerunner 235 is a watch for going places. It not only tracks your VO2 max but it also offers a 12 weeks training session to get you in shape. So if you want to do your first 5K and have no idea where to start, they have a simple and easy training program for you. With a price of $249, it is definitely not the most expensive piece on the market. Coming in 3 colours and including the option of switch out the bands, you can go from playing sports to conducting business with ease. The battery lasts up to 12 weeks in watch mode and 12 hours in training mode. If the price doesn’t make you want to buy it, then this watch is also great for those of us who are just getting back on the treadmill. I would definitely say that they are giving the wearables/ activity tracker a run for their money. So, you may be wondering where does this watch fail? It’s rather simple, the wrist-based heart rate monitor sometimes misses a beat (pun intended). 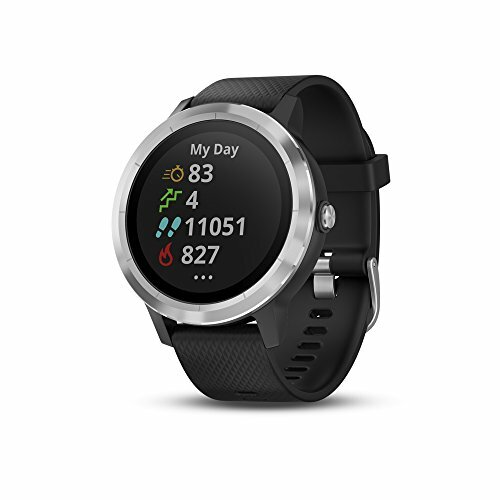 This model is compatible with on chest heart monitors and syncs automatically as well; yet, the common complaint is that the watch takes a bit to recognize that a run or workout has even started, which delays the monitoring process. Additionally, in cold weather, the Garmin has a harder time reading an accurate heart rate. Still, those are small complaints compared to other watches failing to charge or screens going blank. Garmin as a whole has my personal approval, but there are still a few things that they can improve upon. Their app needs work in order to better compete with Fitbit, Apple Watch and Samsung watches. The heart rate monitor function could be snappier and more accurate, and the bands are okay; however, it would be nice to have a few more color options. Garmin is back in the game with a watch for outdoor lovers. This outdoors watch is not only beautifully crafted it also possess some top of the line tech behind the watch face. Like many of the modern watches the Vivoactive 3 pairs with your phone through Bluetooth. Just like with a Fitbit Versa you can change songs, favorite different tracks and play your music your way. Or you can just get a backpack with speakers. However, one shouldn’t confuse this watch with the Vivoactive 3 Music. They are very different, as with the Vivoactive 3 Music, you can leave your phone at home and use wireless headphones ( which are sold separately) or IEMs in order to listen to the music stored directly on your watch. I know you might wonder why I am not talking about the Vivoactive 3 Music… Well, it doesn’t look as good as the regular model, in my personal opinion. The Vivoactive 3 looks better, it’s made from stainless steel and the sides are plastic which means it can get beaten up but it will still last you a while. The Music 3 seems like dust could scratch it; it’s fragile, and not in the good way either. It’s fragile like that one piece of dishware your mom owned growing up and she would tell you not to even look at it, lest you break it. It seems like we took a detour, so let’s get back to the meat of the matter. The Vivoactive 3 does a lot for the outdoor individual. It has its own altimeter which is pressure based, the heart rate monitor is wrist based so you no longer have to wear a chest monitor and like all the big boys it measures your VO2 max on the go. It can track 15 sports right off the bat but if you want it to track more, like Cricket, Rugby or Lacrosse, you just need to download those sport packs to your watch. So where does it fail if it’s such a good watch? The Vivoactive 3 fails in many places just like the other big boys and girls. The heart rate monitor can be a bit off, so not all data synced to your phone is accurate. There are some units that have a connection issue which will not be resolved until a new update arrives. Now, don’t get me wrong: the positives outweigh the negatives. I still think it’s a fantastic watch regardless of the little things that may go wrong here and there. Can I just say that I love this watch? Not only is it light but also the features that it has are pretty great too. The battery lasts about 4 days as advertised but mine has lasted up to 8 days at a time. Granted that may be because some weeks I’m not as busy as others, but 8 days on a single charge is pretty awesome to me. There are plenty of watch faces to choose from, and you can change the watch face anytime you want to. The app is simple and easy to maneuver through. They have a female health feature which not many watches have in their apps: it’s good but still need further development to compete with other apps like Flo and Clue. In terms of its outdoors features, I would say it can definitely compete with Garmin but not on a large scale. Fitbit Versa tracks your VO2 max wherever you go. It also gives a breakdown on whether you are improving or not. The body of the Versa comes in 4 colors, and with several different band colors, you are able to mix and match to find your personal style. With a price range of $149-$230, it’s a good buy. In a strict market competition, the Versa holds its own. It provides guided workouts and training sessions. If you are willing to stick to the plan you’re definitely sure to see the results of your efforts. 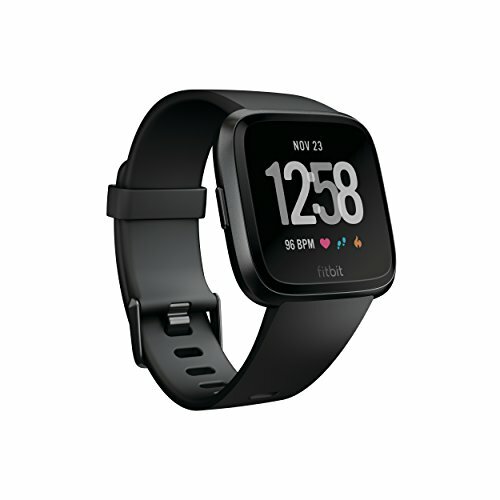 Fitbit Versa is a good watch for your OVERALL health. Why did I say overall health? Well they track your different states of sleep, your heart rate, how much calorie you burn and gives you little motivations for improving as a person. However, this watch is not for everyone; there are many times where it falls short just like all the others. It does not have a compass; however, it can back up up to 36 hours of travel data. So after a day-and-a-half hike or camping trip, your information will be safe until the next sync. Some other places where the Fitbit Versa fails: sometimes the screen goes black and no matter how much you reset it, nothing will happen. One or two things will happen, either you will try to call customer service and navigate through all the hoops they want you to jump through or give up and get a Fitbit Charge 3 ( a definite upgrade from the versa). There are also moments when a unit will fail to charge, this is not a huge problem though at the end of the day Fitbit might just give you a replacement. So now that I have caught your interest, you may want to know how to proceed with picking the best watch for you. Whether male or female, I am sure after reading this buying guide you will know so much more about the possibilities out there for you. Let’s start off with a few questions you might have. Finding the right watch has a lot of factors to consider, but none of those factors are as important as YOU. Yup, I said it. You are the most important factor in this equation. The type of watch you like will be determined on your lifestyle and choices. Do you like to run on trails or streets? Do you go hiking often? Do you need a compass? Do you want something that tracks all of your activities? Do you want to leave your phone at home and just go explore the great beyond? Your watch should help make the things you like to do more convenient, not more difficult. Here is my personal advice: before you buy do some research. Take all the things you want your watch to do, then rank them. Using this list, find out how many of your wants each watch accommodates and which does not. Finding a watch is like finding a date your parents might approve of to take home for the holidays. My advice on that is “Godspeed, Spiderman”. Let’s be honest here, you can’t buy a $500 watch on a $200 budget (well ,not unless you really know how to negotiate). So please consider your budget before you start looking around. By knowing what you can afford, you will then be able to look in your price range. There are plenty of good if not great watches out there in the $200 and less price range. Most watches are water resistant not waterproof. The majority start at 50 meters and go up from there, so they are safe to swim with or take a sure if you want to. Just make sure that your watch can go 100 meters or more before you decide to go deep sea diving. If not, then please go ahead and look for a replacement because the water pressure will definitely ruin your watch. Need is a figment of the human condition, so no, you don’t need them. They are good to have around though. A built in GPS can help you to navigate through the great outdoors without depending on your phone so much. As for GLONASS in simple terms it’s the Russian version of GPS. If you are a trailblazer, then GPS is a convenient thing to have but otherwise you should be okay. So get one! No one is stopping you, Apple Watches are good and they keep improving. The only bone I must pick with them is that they aren’t cross-compatible with Android.